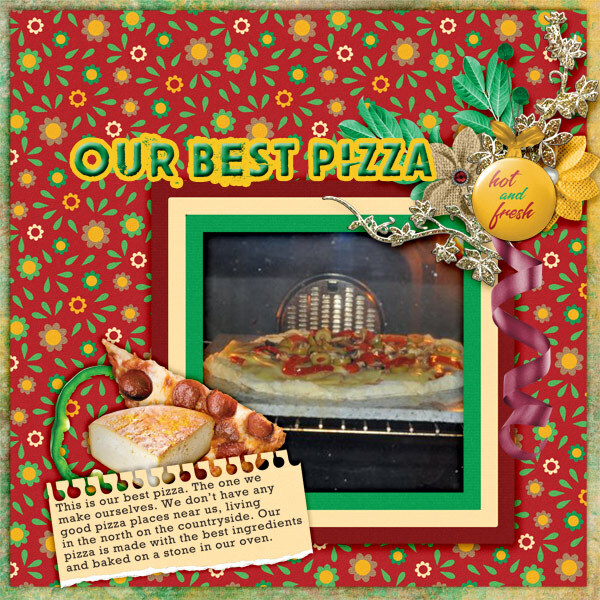 Created with Daily Download Yay Pizza Night minikit by A Beautiful Mess. mmm yum! Gotta use the pizza stone for sure. 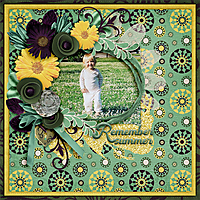 I like the torn edge journal spot and that delish cluster beneath it. 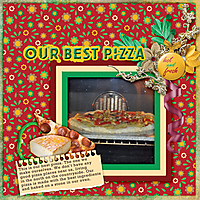 Really great use of the pizza colors thruout, too.